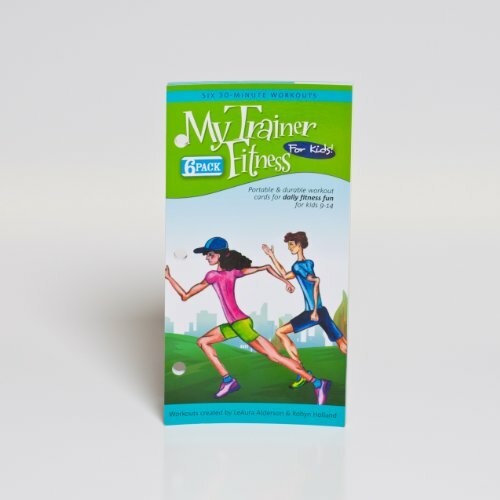 My Trainer Fitness for Kids contains 6, 20-40 minutes workouts that include drills, strength, and endurance exercises in a fun and fast format that kids can do with friends or siblings, alone or with the aid of an adult. Best for ages 9-14, but great for parents to do too! Getting fit with your kids can be fun for all! My Trainer Fitness 6-packs offer 6 complete and comprehensive workouts for Outdoors, At Home, Guys at the Gym and now, for Kids, expanding your fitness options to help you and your family keep fit for life. If you have any questions about this product by My Trainer Fitness, contact us by completing and submitting the form below. If you are looking for a specif part number, please include it with your message.